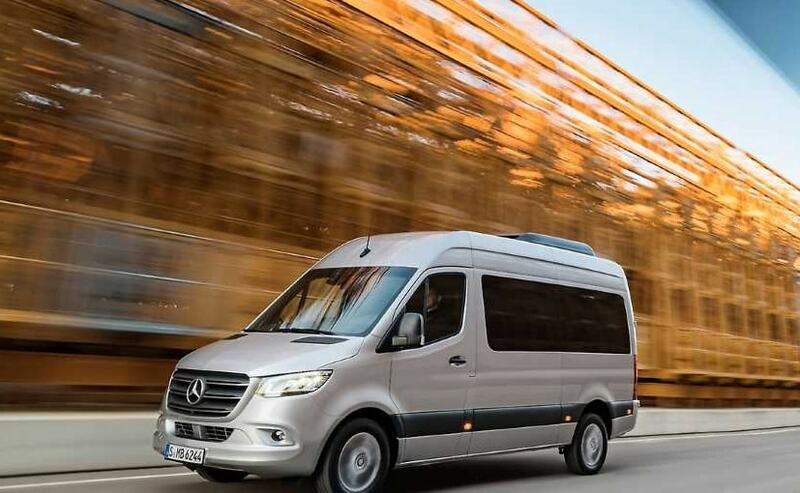 Tesla could be interested in partnering with Daimler AG's Mercedes-Benz on an electric version of its Sprinter van. Tesla Inc could be interested in partnering with Daimler AG's Mercedes-Benz on an electric version of its Sprinter van, Chief Executive Officer Elon Musk said in a tweet on Monday. "Maybe interesting to work with Daimler/Mercedes on an electric Sprinter. That's a great van. We will inquire," Musk replied to a comment by a Twitter user enquiring about an electric van. The latest generation of Sprinter vans debuted in February this year and Mercedes-Benz plans to offer electric versions from next year. Tesla did not immediately respond to a request for comment. Daimler declined to comment on whether it was open to collaboration with Tesla, but a spokesman said it was pleased by Musk's interest in the van. Outgoing Daimler CEO Dieter Zetsche was reported as telling a Polish newspaper last month that he did not rule out cooperating with Tesla in future, even though the German luxury car producer had sold its stake in the U.S. electric vehicles company. Company veteran Ola Kaellenius was recently named to become Daimler's first non-German chief executive from next year. Earlier this month, Elon Musk had also revealed that the company is planing to expand its overall market beyond North America, Europe, and China. The company plans to make the Model 3 in China and has hinted at achieving 7000 units production capacity. Musk revealed on Twitter that he recently asked his service team to expand to all population regions in North America, Eastern Europe, China, and Japan by the end of next year. He even said that "We are completely missing vast geographic regions in some cases." The follow up tweet also mentioned about Tesla's presence in India. However, we cannot come to a final conclusion on anything just depending on Musk's tweet as soon he will be stepping down from his role as the CEO. Tesla has recently appointed an new chairperson- Robyn Denholm who will replace Tesla's Musk. The change in position comes after Musk was recently sued by the SEC for his infamous tweets over Tesla's going private for which both Musk and Tesla had to pay a penalty of $20 million. Earlier, in a series of tweets Musk has mentioned about taking Tesla private at $ 420 per share and he even claimed to have secured some funding.